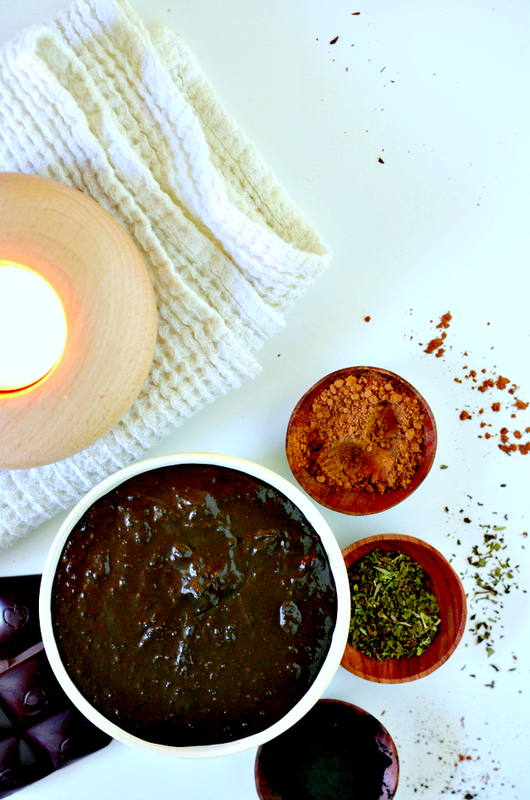 This Revitalizing DIY Chocolate Face Mask was created in my kitchen when I realized that my reliance on Lush's Cupcake Fresh Face Mask was completely unsustainable. Have you ever used Lush's face masks? They're pure magic for the skin. Cupcake kept my skin clear, soft, bright, and seemingly younger while smelling like luscious mint chocolate cake. Sadly though, there came a point when I needed to be real with myself about this mask. First, at $7.95 for a 2.1 ounce pot it's not a bad deal if you actually finish it. However, using the entire pot before it expired was always kind of an ordeal for me. Second, it expires. The mask is made with fresh ingredients so the expiration date is a good thing, but also a bummer if you don't use it quickly enough. 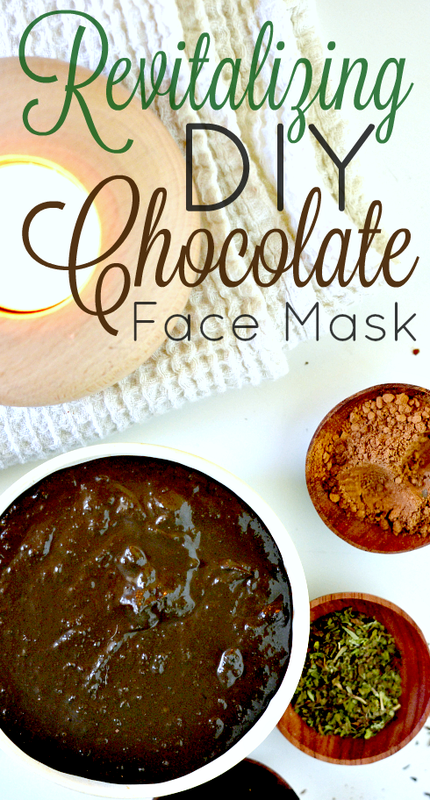 My DIY Chocolate Face Mask also expires, but it doesn't cost $8. Third, my Lush doesn't always have Cupcake in stock anyway. I needed an alternative that would make me look as cherubic and radiant as Cupcake, so I decided to make my own using similar ingredients. I kept the chocolate and mint that they use in their recipe, and built my face mask around those items. 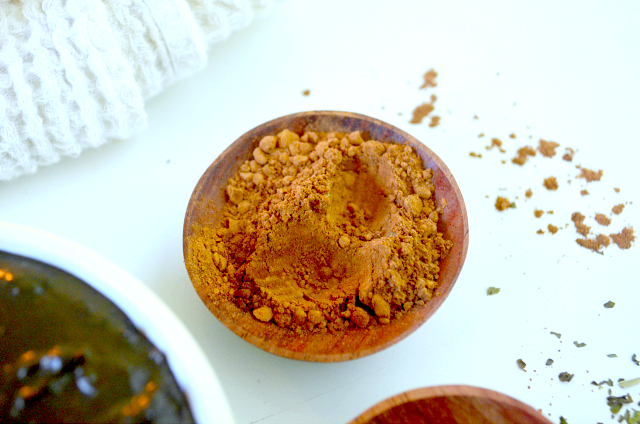 I combined cocoa powder and dried spearmint with neutral smelling, but skin-friendly ingredients like oat flour and spirulina. The result smelled so cake-like, that I actually couldn't help but taste it. It did not, I repeat, did not, taste good, but it smelled like the deepest, fudgiest, chocolate cake you've ever had. Look at all of those benefits! Using this mask is seriously like rubbing a vitamin all over your face. I've been using my Chocolate Face Magic Mask off and on for months, and the difference it makes when I'm on is absolutely noticeable. My skin looks younger, feels softer, and is just easier to work with. Will I ever buy Lush's Cupcake again? I mean, maybe. It's an amazing product, but honestly? So is mine. When was the last time you treated your skin to something so decadent? This mask is inexpensive, incredible for the complexion, and makes for some super fun selfies. 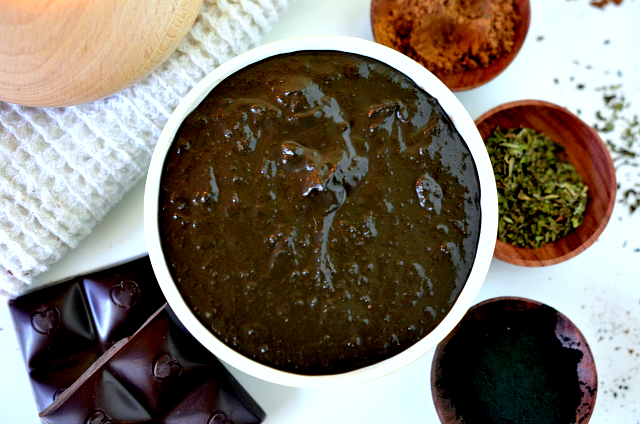 When you make it, be sure to use #housevegan on any chocolate face mask selfies. I wanna see your beautiful faces! 1. In a small mixing bowl combine the cocoa powder, oat flour, corn starch, spirulina, and spearmint. 2. Stir in the water starting with 6 tablespoons. If the mask is extremely thick, add more water a tablespoon at a time to loosen it up. It should be about as thick as chocolate pudding. 3. 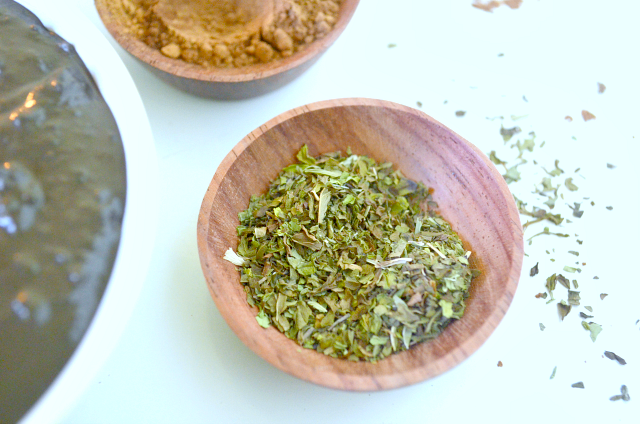 Store the mask in an airtight container in your fridge for up to 2 weeks. 1. Using your fingers, apply a thin layer of the mask to your face, or face and neck. Allow the mask to stay on your face for 7-10 minutes. Wash the mask off with warm water, and pat your skin dry. Let's be friends! Follow HV on Facebook, Google+, Pinterest, Bloglovin' & Instagram! You can also get House Vegan posts delivered right to your inbox by clicking here!